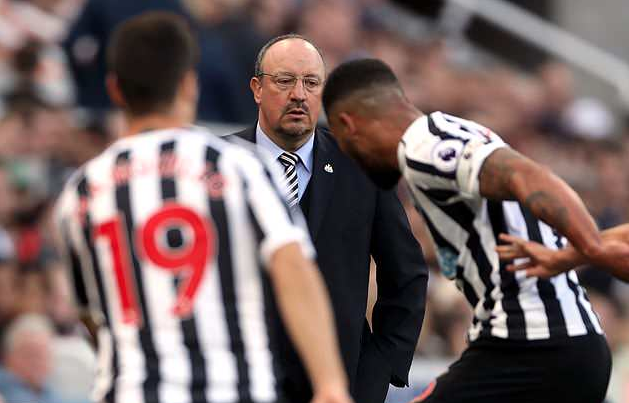 If Benitez stays this summer, these 10 Newcastle players look VERY likely to leave.. – NUFC blog – Newcastle United blog – NUFC Fixtures, News and Forum. Rafa Benitez’s future at the club is the key matter to settle between now and the summer, but IF the Spaniard does stay, there could be several players heading out the exit door. Isaac Hayden – The former Arsenal man has been immense during our recent run and is keeping Shelvey and Ki out the side, after forming an impressive partnership in the middle of the park with academy graduate Sean Longstaff. However, Hayden has been desperate to leave to be nearer his family down south, something good form or game time can’t rectify, so I expect him to depart this summer – and there’ll be plenty takers. Kenedy – We know he’s due back at Chelsea when his loan ends, but I don’t see Rafa making another move to sign him based on his form and application (or lack of it) over the last year. NUFC were quoted a upwards of £20m last season, a fee we would not even consider after a poor season. Joselu – The Spaniard just isn’t up to standard, despite plenty of effort. He performs exactly like a £5m striker is expected to in the Premier League – he is no where near the level of Rondon – with an injury to our current number 9 leaving us well short. Expect Newcastle to move Joselu on, with it being reported in January that Rafa only kept him as we were unable to sign a replacement. Rolando Aarons – After such early promise, his career has fizzled out. Currently on loan at Sheffield Wednesday – and doing well by all accounts – you just can’t see a way back for the winger on Tyneside. Rangers have been linked in the past, but he may just stay with the Owls if he keeps on impressing. Achraf Lazaar – Also on loan at Sheffield Wednesday, the man signed from Palermo just isn’t in Rafa’s plans. The current loan will be there to get him in the shop window, as there is next to no chance of a return to Newcastle this summer. He was hugely impressive in his first few games at Hillsborough from what I’m told, but he’s now been ruled out for up to 2 months with a bad hamstring injury! Jack Colback – It’s emerged that his contract actually expires NEXT summer, but he’s clearly not in Rafa’s plans. The fact he’s really impressed at Forest should mean either they or a fellow Championship side should come in with a bid this summer. Dwight Gayle – Excellent in the Championship, Gayle will always be popular with Newcastle fans after firing us back to the Premier League at the first time of asking. He has struggled to replicate his goal scoring prowess in the top flight though and with Rondon firing, you can see him staying at West Brom as part of a swap deal or moving to another Championship side this summer. Rob Elliot – A loyal servant when called upon but Elliot will know his time at Newcastle is just about up. Dubravka has been excellent and Woodman is now the clear number 2 – and with time on his side. Darlow would then be third choice, you just can’t see the former Charlton man staying beyond the summer. Jamie Sterry – The local lad and full back hasn’t progressed at Newcastle and clearly will need to leave for regular football. Numerous loan spells down the leagues have not led to a permanent move but expect him to be plying his trade elsewhere. Henri Saivet – Out on loan in Turkey as we speak, but another player who’s not in Benitez’s plans. Let’s hope we can get rid of him for good and get a fee for him, with constant loans seeming a little tedious given this is a player we paid decent money to sign just a few years ago. The likes of Diame and Shelvey also face uncertain futures, with the former’s contract set to expire this summer as things stand and the latter facing a real fight to get back into Benitez’s plans following the emergence of Sean Longstaff. Big changes could be on the cards this summer. Let’s just hope Rafa leaving is not one of those, with him being the most important man to retain over the coming months. Only the loss of Sterry would disappoint me from that list – the rest can go for me. But you may have to add Shelvey to that list too. Only two have minutes this season and would need replacing. The rest simply lower the wage bill. I’d add Murphy to that list.